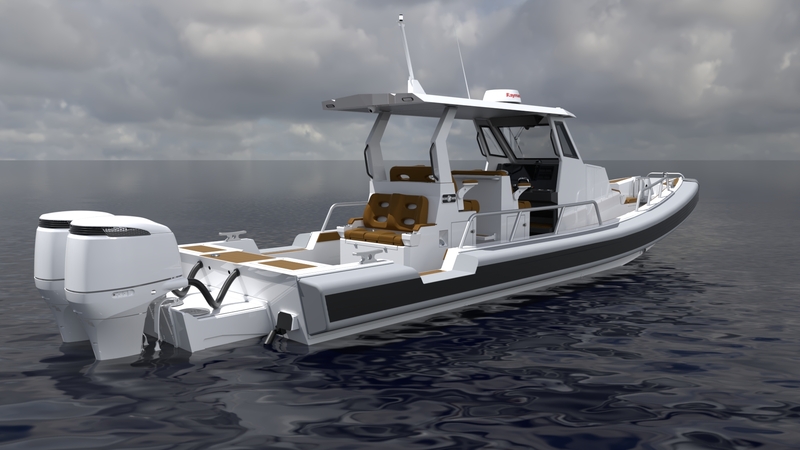 Silver Ships, Inc. has announced its collaboration with industry vendors in the creation of an aluminum demonstration yacht tender. 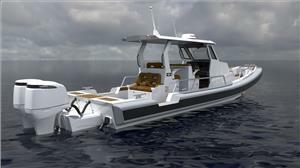 The 36-foot demo boat is designed and manufactured to serve the purpose of supporting a large yacht with comfortable seating for up to 10 passengers. The vessel is an Ambar series Rigid Hulled Inflatable Boat (RHIB) equipped with an extended, enclosed center console with forward cuddy (with boat head). It is outfitted to satisfy the need for versatility in both recreational and commercial use, such as yacht support or military/law enforcement missions. The demo boat features twin DF 300 AP Suzuki outboards that allow the boat to reach more high speeds at a smooth ride. Raymarine electronics provide the latest communication and navigation technology and SkyDex impact mitigating boat decking helps protect the crew and passengers from long-term injury from time spent in rough conditions. The vessel also includes a SeaStar Solutions Optimus 360 joystick for seamless precision steering capabilities, and a Blue Guard Innovations BG-One oil and fuel detector with smart bilge pump switches which eliminates risk of oil spills and subsequent fines. Rockford Fosgate's "Punch" series PMX-8BB Marine Hide-Away Digital Media Receiver with Interface Module allows for clear audio throughout the vessel, despite noise associated with winds and high speed water travel. The vessel's main purpose is to showcase the capabilities and craftsmanship of Silver Ships along with participating vendors, whose parts and components enhance the mission-ready abilities of the vessel. Silver Ships will debut the demo boat during Miami International Boat Show, Feb. 14-19, at booth J1512, where conference attendees will have the opportunity to take a ride on the vessel. It will also be available for demonstration at the Wharf Boat & Yacht Show in Gulf Shores, Ala. (March 29-31) and SOFIC in Tampa, Fla. (May 20-23). Throughout the year, Silver Ships will be traveling with the demo boat, making multiple stops at trade shows for vessel tours and customer test drives.